William Standing was a versatile artist who worked in many genres including cartoon drawings for post cards and calendars, roughly composed oil sketches, portrait work, highly refined and well executed oils of western scenes. His work has been displayed in Washington, D.C., Paris and New York to name a few. 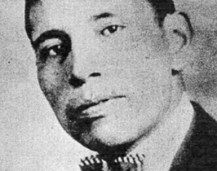 Standing, an Assiniboine Indian attended schools at Wolf Point Mission School as well as Haskell Indian School. He lived his entire life in Oswego, Montana and died prematurely of a single vehicle automobile accident. Purportedly, the state patrol indicated there were 300 feet of skidmarks before his vehicle left the roadway. His independence and his spirit lives on through his distinctive and haunting images of western scenery and Indian life in northeastern Montana.